If you find yourself flustered with clients, caving to discount pressure, jumping the gun with your sales presentation, or wasting time with low-level prospects, adding another sales tactic to your tool kit won't fix the problem. Instead, there's a far more effective way to get your sales back on track: to ignite and develop your emotional intelligence (EI). Millions of dollars are invested every year in sales training. Salespeople know what to do, but under tougher selling situations, they often default to non-productive behaviors and actions. 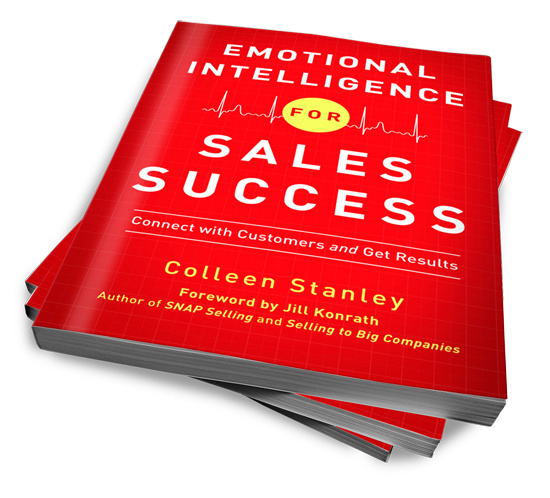 Emotional Intelligence for Sales Success teaches you the "art and neuroscience" of selling. This book will help you close bigger deals, in less time, at full margin.